Ojakhuri is a popular type of Georgian family meal made with meat and usually fried potatoes. 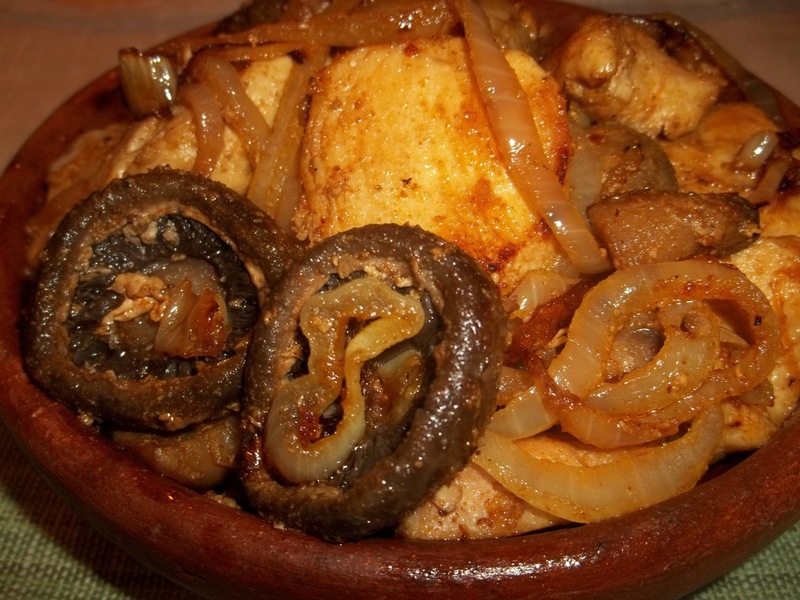 In this family recipe from the Racha region of Georgia we show how to make Ojakhuri using chicken and mushrooms. It’s simple to prepare and delicious! 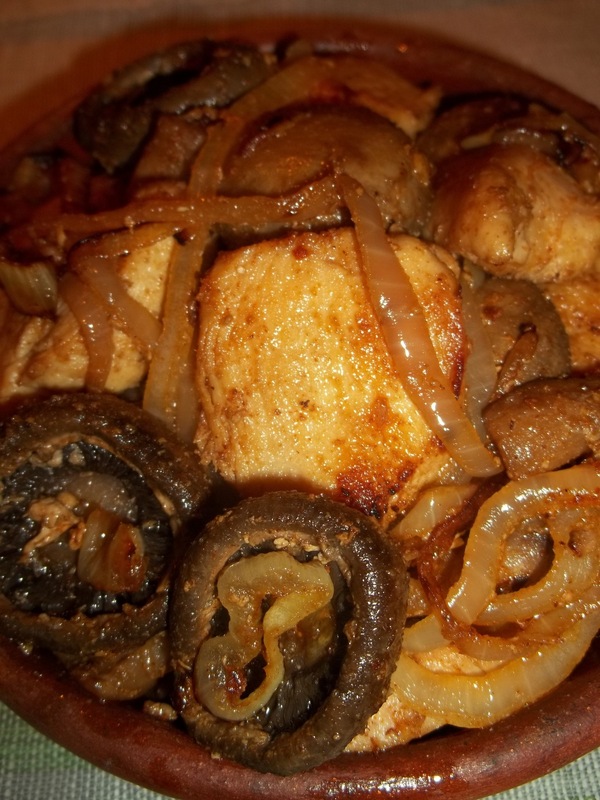 Ingredients: 600 grams of chicken breasts, 400 grams of mushrooms, 5 cloves of garlic, 2 large white onions, 50 grams of butter, 3 tbs of oil, 1 tsp of dried sweet red pepper and, salt (amount dependent upon personal preference). 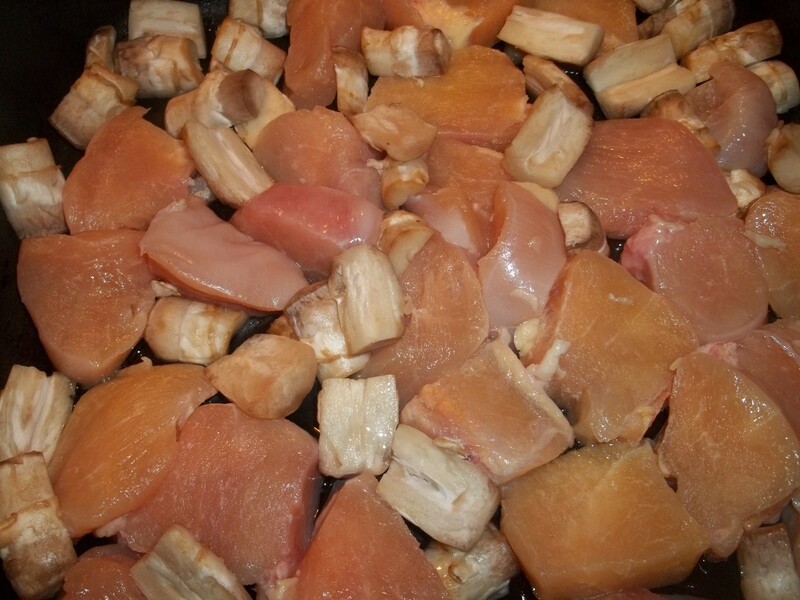 Preparation: Cut the chicken breast into medium sized pieces and remove the stalks from the mushrooms. 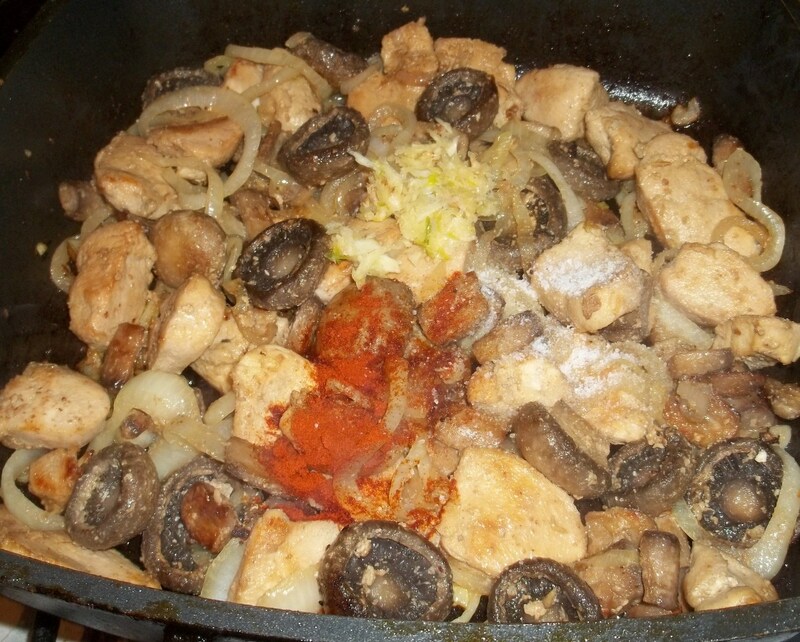 Add the chicken piece and mushroom stalks to a pan with 3 tbs of oil and 3 tbs of water. Cover and fry on a medium heat for 5 minutes. 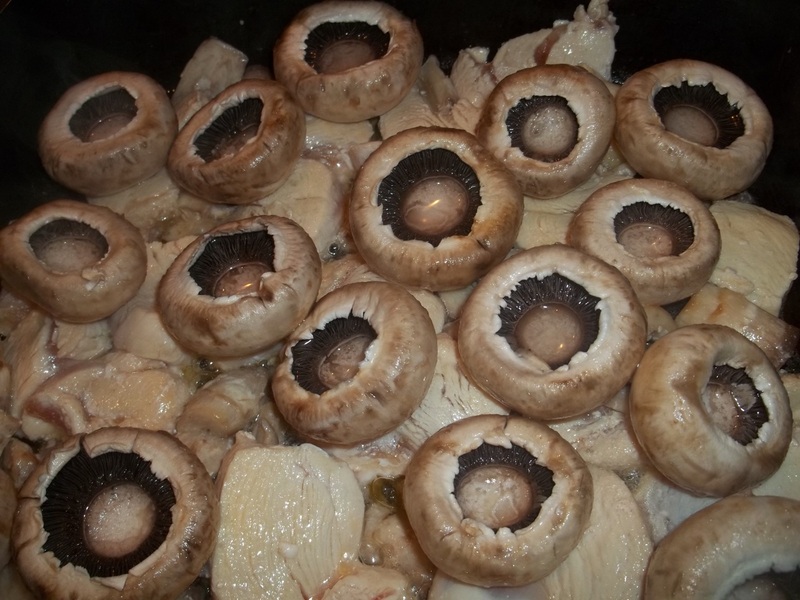 Add the mushroom caps and continue to fry until the water has evaporated. 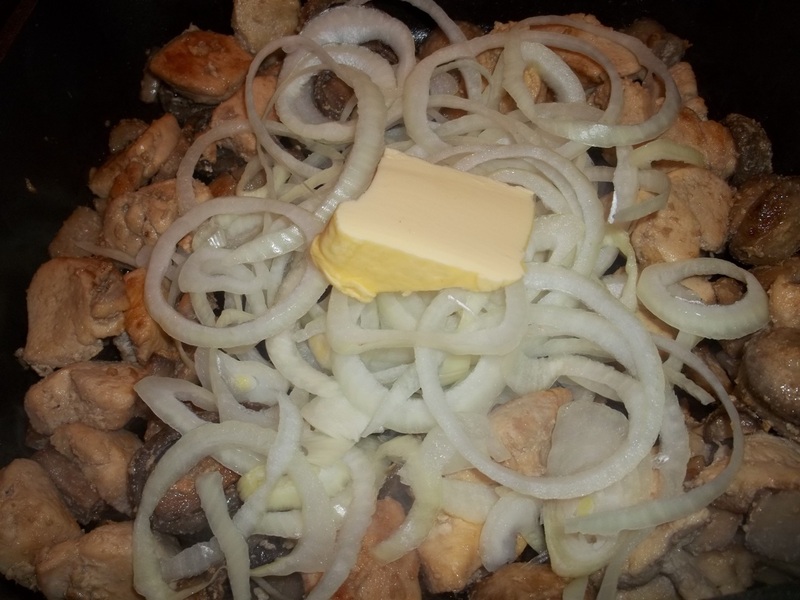 Thinly slice the onions and add to the pan with 50 grams of butter. Continue to fry (uncovered), stirring frequently, for a further 5-7 minutes. Crush the garlic and add to the pan, together with salt (amount dependent upon personal preference) and 1 tsp of dried sweet red pepper. Fry for 1 minute, stirring continuously. Turn off the heat. 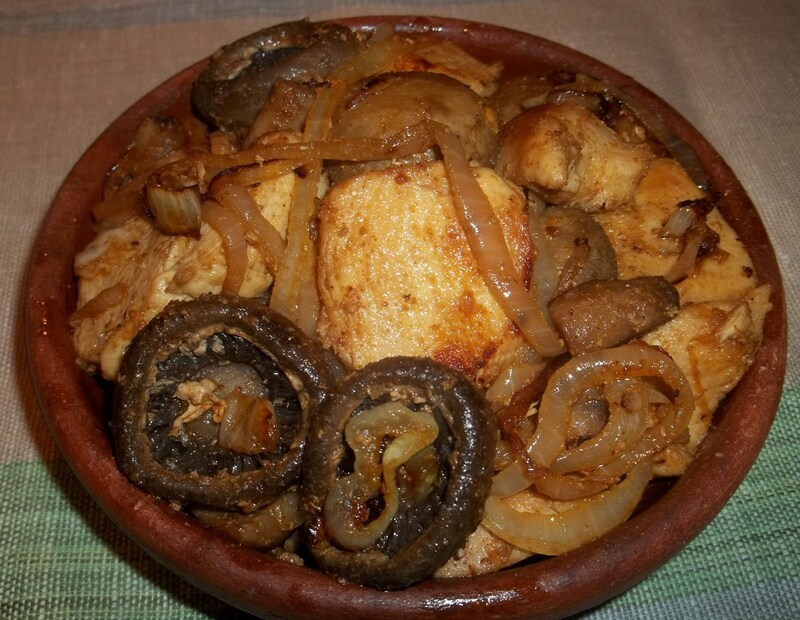 Enjoy your Ojakhuri with Chicken and Mushrooms!